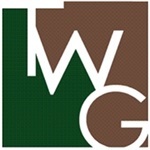 As the financial industry attempts to provide multidisciplinary solutions and "one-stop" shopping for corporations, professionals and affluent families, The Wadsworth Group has become a resource for those who seek a critical analysis of their most crucial asset accumulation and risk management planning decisions. The Wadsworth Group and our strategic alliance partnerships and "producer groups" are comprised of strategic problem-solvers, with no product or marketing bias. Our current and prior affiliations are with The Society of Financial Services Professionals, The Business Enterprise Institute, The International Forum, The Advanced Association of Life Underwriters and The MDRT Top of the Table have kept us on the cutting edge of planning strategies.